DNN Platform is the largest open source .NET CMS. Visit the DNN Platform section of this page to engage with the open source community, download DNN Platform manuals, watch educational videos and more. 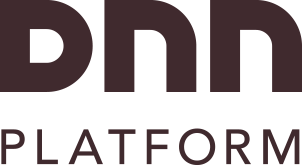 Evoq is our commercial product line that sits atop DNN Platform. Visit the Evoq section of this page for CMS resources, to view webinars, download white papers, read case studies or request a free Evoq trial. Resources for our commercial Evoq products. Resources for the open source DNN Platform.